Camera is disconnected. Why? - Got a Question - Alfred Center | get the most out of the best home security app! Chances are the battery died, so the Camera got disconnected. Please make sure your Camera gets a steady power supply to avoid disconnection. Wrong. The phone is plugged in to a power source, and the power indicator shows it is fully charged. The WiFi signal app I have shows full power strength, so that’'s not it either. I will uninstall Alfred and re-install it or one of the other similar apps. And it really bugs me that Alfred turns off by itself (why?) and there is no convenient button to turn it back on. If you log in to Alfred with a different Gmail, it would be very helpful if you could send me a direct message to let me know. The questions you are asking are very specific. I will be able to help you out better after taking a look at the stats/logs. Please rest assured that nobody has access to your live feed/recordings. All we can see is stats. Problem: Viewer says camera is disconnected. but: Camera says camera is running. Please update Google Play Services on your Camera Phone and log in again. Rather than mess with Google Play, I deleted Alfred. 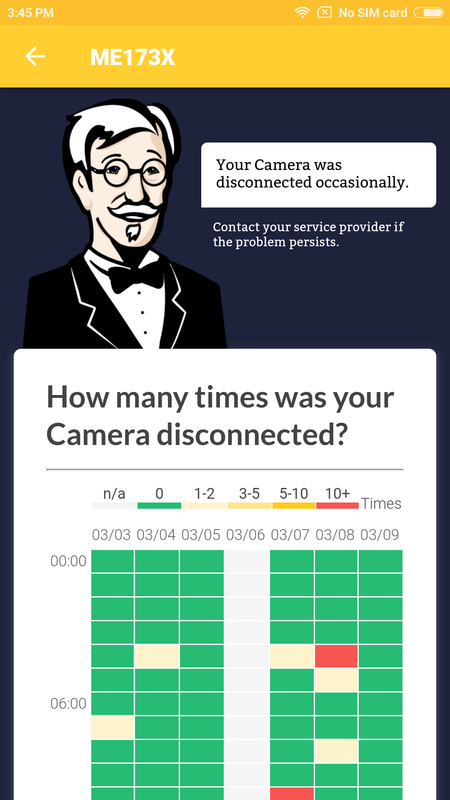 I also have check the camera connection and reinstalled Alfred and still can’t connect and see live viewing. It logged in live says connected but no picture. I have an iPhone 6s plus for view and Camara I have an iPhone 4 and a Samsung s4. Pls help. I am very technical and can figure this out but not this one. I had a similar problem, no picture on front or back Android camera as seen by iPhone viewer. I had Ampere running on Android camera. I stopped Ampere and now can see the pictures on front or back camera. Don’t know why. Could you please provide a screenshot or videos when the issue occurs? It can be really helpful for us to identify the issue.